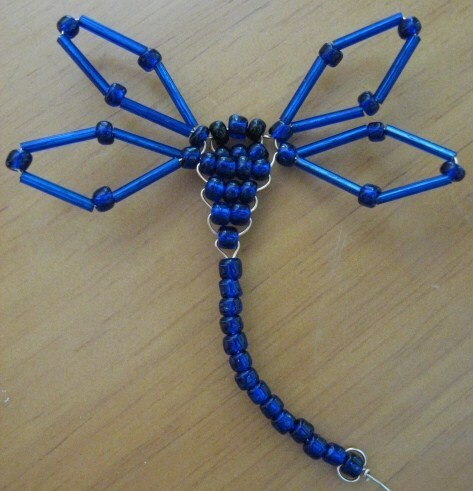 A colorful insect that can be the inspiration for a variety of craft projects. 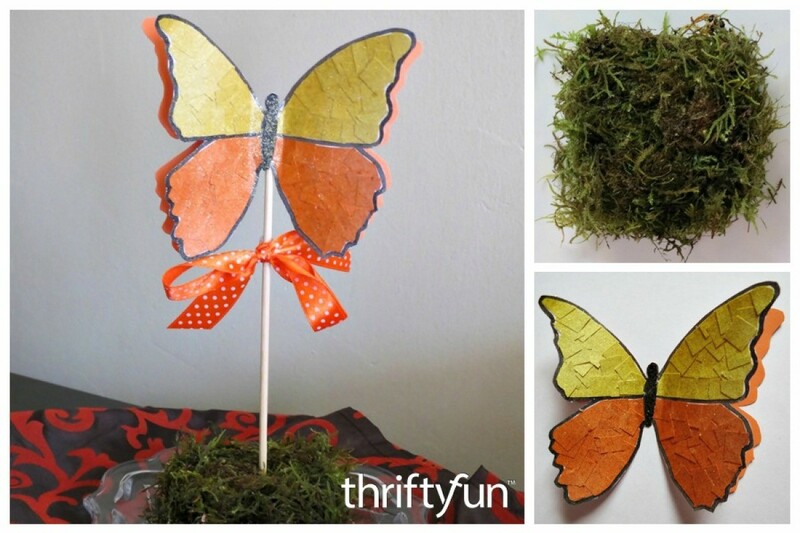 This is a guide about butterfly craft ideas. 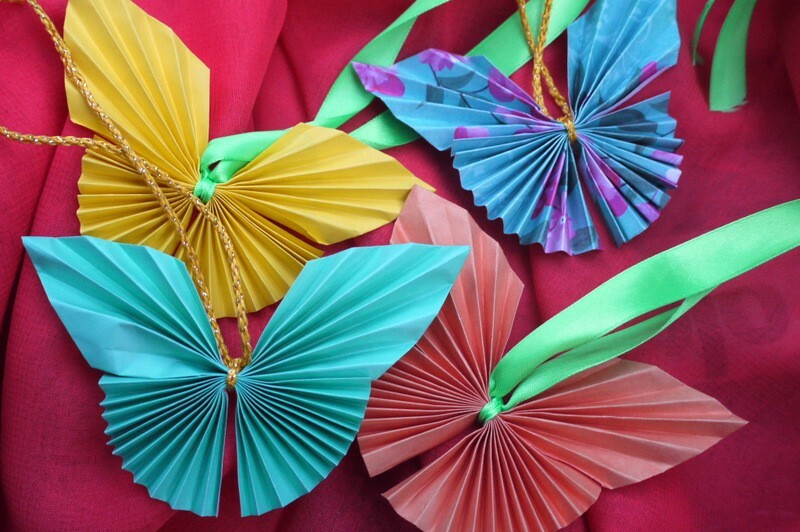 These pretty folded paper butterflies are easy to make. Make several to hang individually or perhaps as a mobile. This is a guide about how to make a pleated paper butterfly. 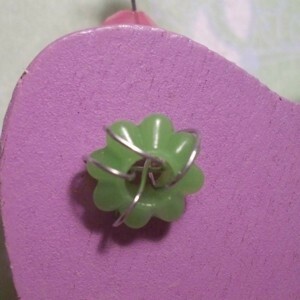 This guide contains beaded wire craft ideas. A variety of useful items can be created with wire and beads. 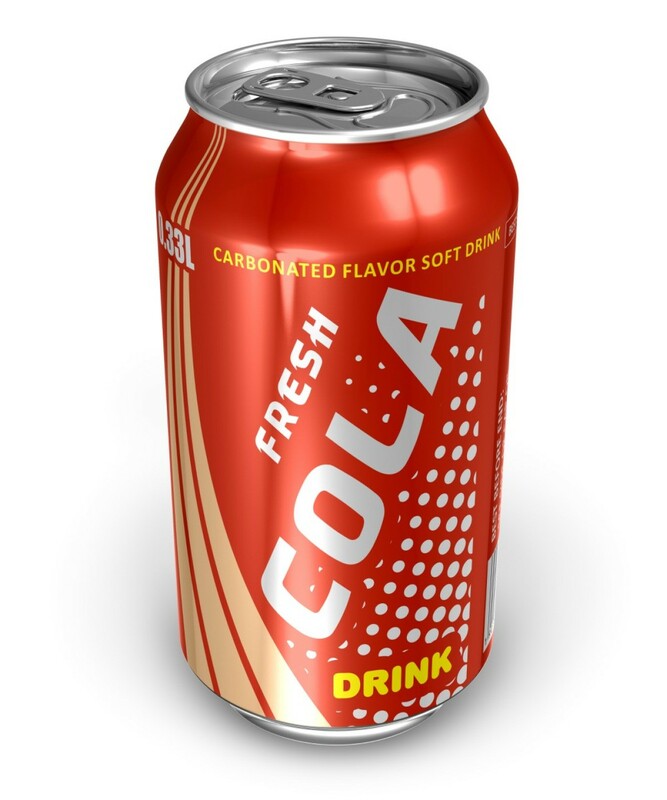 The thin aluminum used for making soda cans is perfect for craft projects. It is easy to cut and work with. This guide contains instructions for making a butterfly magnet from a soda can. 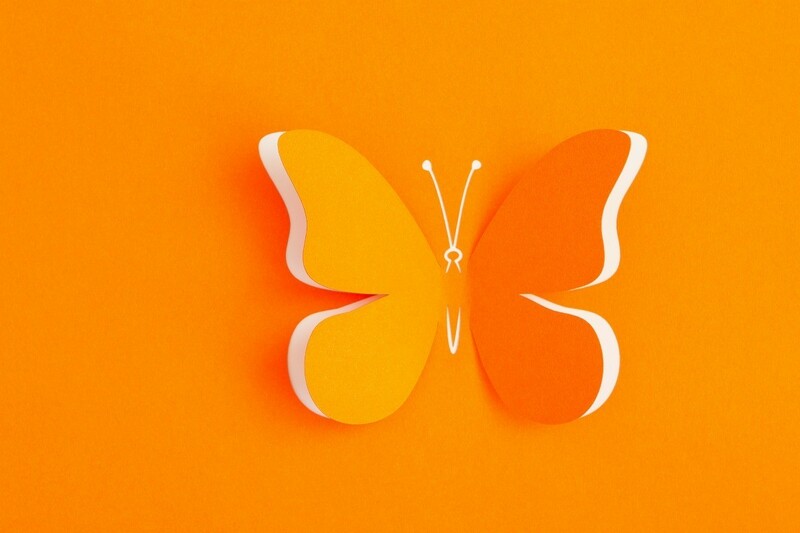 Mount this beautiful 3-D paper butterfly to a skewer and set it in florist foam for a unique place card for a wedding or other special event. 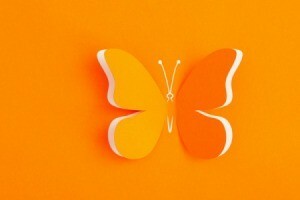 This guide shows you how to make a 3D butterfly wedding place card. 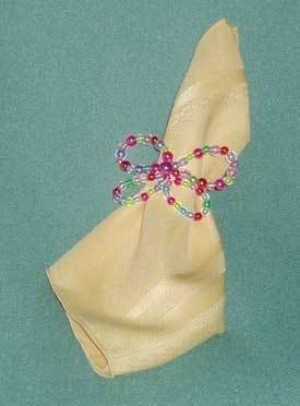 This is a guide about butterfly napkin rings. These lovely butterfly napkin rings add nice flair to your table setting. 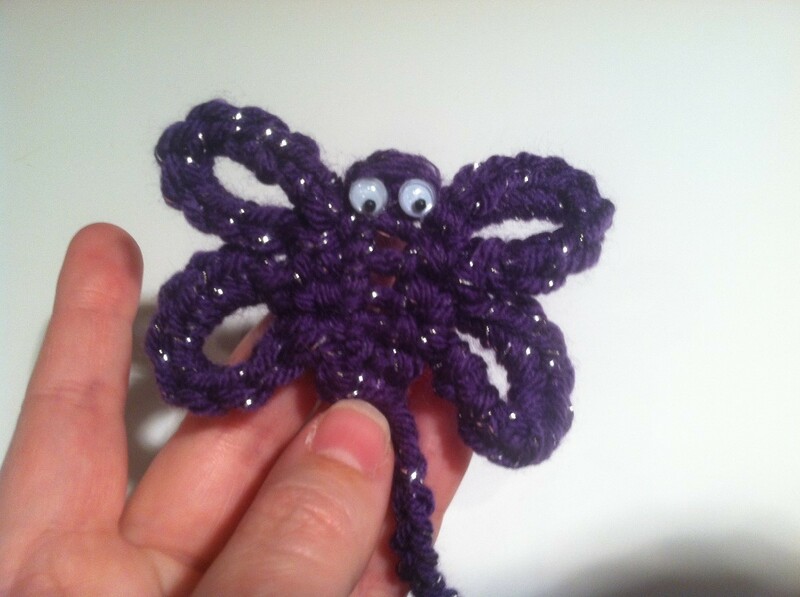 This is a guide about making a crochet butterfly bookmark. This easy crochet project is perfect to make as a gift. 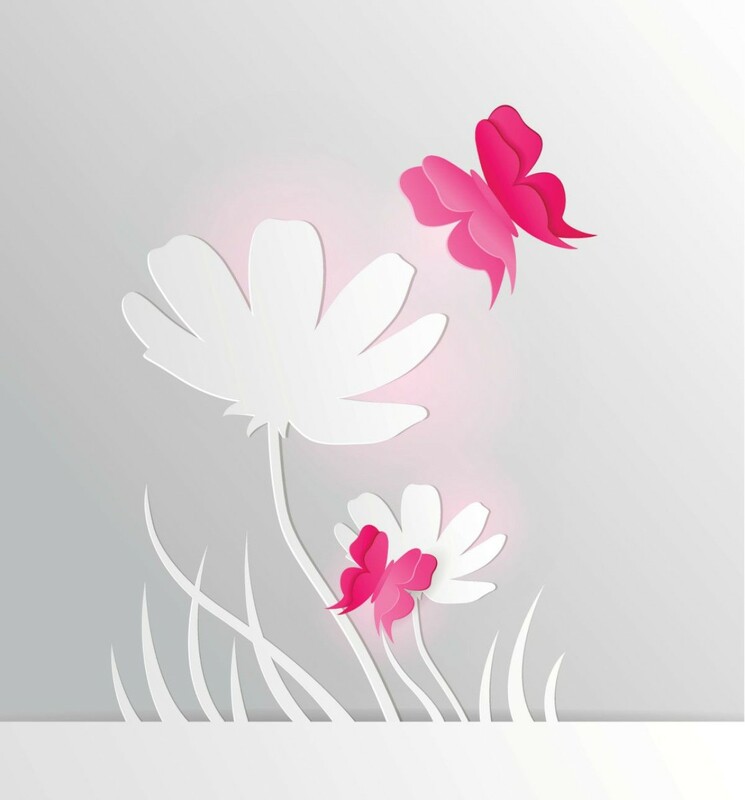 This is a guide about butterfly themed greeting cards. These graceful large winged insects are a beautiful theme for special occasion or note cards. 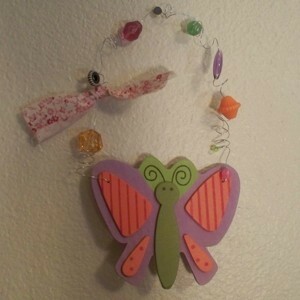 This is a guide about butterfly crafts for kids. 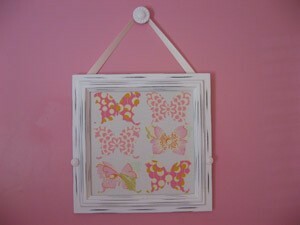 Kids love to make crafts with a butterfly motif. 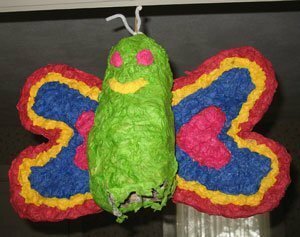 This is a guide about making a butterfly pinata. Pinatas are great fun for children's birthday parties. They love to break it open and get all the candy inside. Making your own pinata will make it even more special for the party. Dress up a door knob, Easter basket, or your baby girl's room (etc.) with this simple yet beautiful boutique-looking butterfly. 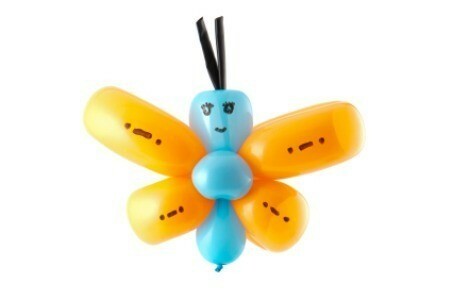 A sweet and dainty butterfly to flutter on a door knob, on a home/work wall, or even your rear view mirror. This welcomes spring and Easter, but it's cute year-round, too. For you or to give as a gift. Using the tack, poke two symmetrical holes through the top of the butterfly's wings. At one hole, string (≈ 2 inches) wire from front-to-back. 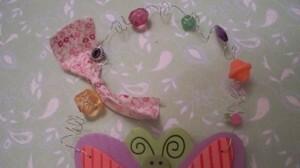 Secure by stringing one bead from the back of the butterfly, and wrap the wire around the bead at least 3 times. From the butterfly's front, wrap the wire around the pencil about 3 times to form a close and short cork-screw. Slide pencil out of wire. Add one bead that won't slide down the cork-screw in the wire (unless you'd like a looser bead and/or the bead to be mid-spiral). Next, about an inch from the first cork-screw in the wire, past the bead, use the pencil to make another spiral by wrapping the wire around the pencil 2 or 3 times. Add another bead. Repeat steps 4 and 5 until the desired length of the wire is achieved. Repeat step 2, at the back of the butterfly, to secure wire. All done. Dress up a door knob, Easter basket, or your baby girl's room, etc. with your beautiful, boutique butterfly. I used Amy Butler's butterfly silhouette template to trace the butterfly outline onto Amy Butler fabric. The butterflies were cut out of the fabric using fine sewing scissors and then glued to a Creative Memories frame using a clear glue stick.